Exploration Plastics is a custom injection molding and blow molding manufacturer located in Calgary, Alberta that has been in business for more than 20 years. With our 10 high speed injection molders and 3 high-tech blow molders, there are no limitations on our molding capabilities for our customers at our facility. Exploration Plastics injection molding department has machine sizes ranging from 100 ton - 500 ton that are capable of running quality runs small or large. We are able to run all materials in any color, to satisfy all customer requirements. Our highly experienced, trained staff can help you with any requirements with a variety of additives, including bio-degradable and UV-protections. Our in-house machine shop is capable of developing any post-molding production equipment to meet your needs. We are able to work with any mold makers regarding any production needs and part development. Our blow molders specialize in hard-to-run parts and materials, whether it’s a construction product, seismic product, long or short and even the very unusual -- we can suit your needs. Over our 20 years in business, Exploration has accumulated large selections of our own seismic, mining products and accessories. We carry one of the largest selections of drive points, hole plugs and loading tools. Please visit our Products page or feel free to give us a call for more assistance. Our large facility is capable of stocking products inside or outside for our customer’s immediate needs. 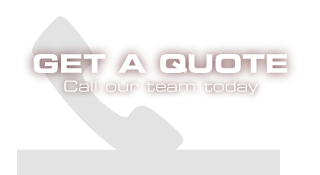 Exploration is committed to running a quality product at a competitive price, so get us to quote your part today.